Finally, this book has been the longest anticipated book of the year for me. I prepared myself to loose sleep over this book. I started the book the moment Kindle delivered it to my iPhone and just completed reading the book cover to cover. I forced myself to read the book in a slower speed just because I wanted to savor every page and I don’t want the book to end. Ms. Elkeles did a great job with Chain Reaction. While I was reading the first chapter, I just realized how much I missed her ease manipulation of words. Fantastic cover for Chain Reaction, similar style to the previous two books. Chain Reaction was a good as prior books in the series, no I take that back, it was actually the best out of three. I can’t wait to re-read all three book back to back again. We continued Fuentes brothers’ journey with Luis Fuentes’ and Nikki Cruz’s story in Chain Reaction. Luis is such a likable character, smart with determination to pursue aeronautics engineering degree from Purdue University to be an astronaut and of course with the famous Fuentes attitude. Luis met Nikki at Alex’s and Brittany’s wedding in Chicago when he was fifteen. The sparks between them were undeniable and due to Nikki’s recent breakup with her boyfriend at that time, Marcos, their relationship did not go any further. When Nikki’s story began, I felt so bad for her and totally understood why she was determined not to fall in love again, especially Luis and trying hard to keep her distance. Two years later, Luis and her mother moved back to Illinois to be closer to Alex and his family. They even moved back to the exact same house the Fuentes brothers grew up in. Luis was in for a big surprise. The neighborhood cleaned up nicely. I didn’t want to give out too much about the story, all I can say is that it was scandalous. Just like the prior books, Luis did get Nikki at the end and live happily ever after. Be sure to read the epilogue. 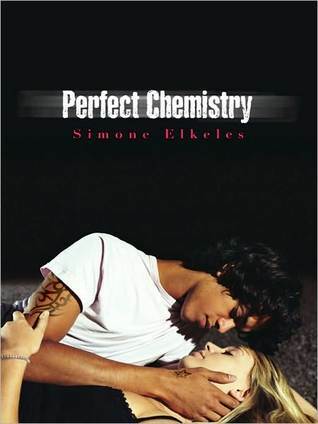 I wanted to read more books from Simone Elkeles and found this series after reading Perfect Chemistry and Rules of Attraction. I thought I give the Leaving Paradise series a try after reading a couple of good reviews on it. Leaving Paradise has the same first-person-narration-alternating style between Maggie and Caleb. Leaving Paradise started with Caleb getting out of juvenile detention. He was convicted for drunk driving and causing Maggie’s hit-and-run accident. Maggie was lack of self-confidence and very self-conscious after the accident. 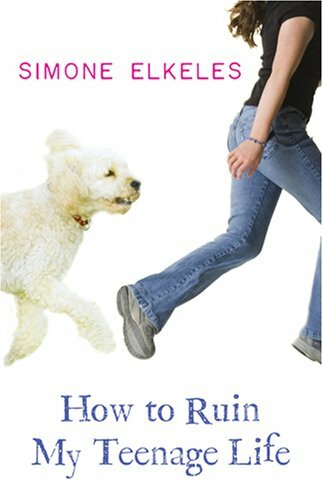 She will be limping for the rest of the life and always reminded about the accident by her scars on her leg. The interaction between Caleb and Maggie is so realistic. The emotions ran high-strung throughout the book. Mrs. Reynolds was my most favorite character within the book. She is a charming old lady full of life experiences. Simone Elkeles did a fantastic job telling the story. I can actually feel the build-up for something big towards the end of the book. Caleb was actually hiding a huge secret about the accident. After reading this book (4.5 stars), I have to read the next book right away to find out more on Caleb and Maggie’s story. The author left the ending wide open. 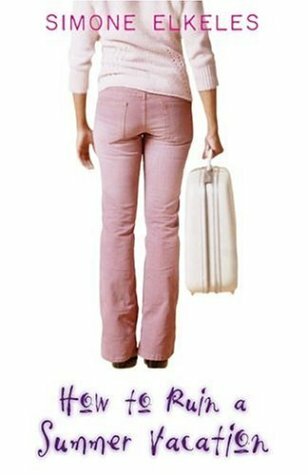 If I was walking around the bookstore, Return to Paradise will not get my attention unlike Leaving Paradise. That being said, the story wasn’t as good as Leaving Paradise either. Leaving Paradise ended with Caleb leaving Paradise with a big secret but Maggie know the truth. She wanted Caleb to admit the truth so both of them can get past the barrier of their love. Fate and destiny have better idea. Caleb was arrested again and his transition counselor (better term for parole officer) made a deal for Caleb to avoid jail time by joining the Re-START program. Little did Caleb know, Maggie was in the program too as a last minute replacement. There is no other way for him to run. The story continued with the hot-and-cold relationship but it wasn’t as good as the first book. I would give this book 3 to 3.5 stars. Amazon was having a sale on kindle ebooks and I bought both Rules of Attraction and Perfect Chemistry for $1.99 each. I had read the book synopsis on Rules of Attraction at the bookstore a year ago and thought it was interesting but I didn’t get a chance to read it. The series is definitely a getaway for me from all the paranormal series. Rules of Attraction is actually a sequel to Perfect Chemistry. I started reading on Rules of Attraction without checking out the background on the book. After reading Rules of Attraction, I started reading Perfect Chemistry right away. I love Simone Elkeles’ writing style, story from two main characters’ perspective flowing continuously and smoothy between the chapters. Usually, I don’t like the switch back and forth narration but Simone Elkeles did a great job. Perfect Chemistry was written with perspectives from Alex and Brittany while Rules of Attraction was narrated by Carlos and Kiara. The characters were alive through Simone Elkeles penmanship. In Perfect Chemistry, Alex and Brittany from two different family background were forced to be partners in their Chemistry class. Brittany was the picture-perfect rich girl born north of the track and the captain of the cheerleaders. Alex was born on the south side of the track and member of the Latino Bloods gang. Both of them couldn’t be more far apart in their family background but they have a lot of similarities too, hiding their true selves. Alex joined the gang to protect his family and Brittany tried to be perfect so her parents won’t send her mentally handicapped sister away. Alex and Brittany soon discover each other vulnerability and started to fall in love with each other. Alex character was very sympathetic, I was very emotional towards the end of the book where he chose to get out of the gang by getting beat up to death. Carlos on the other hand wants to be in the gang for the glory and money. He was send from Mexico to live with his brother Alex in Colorado against his will. After getting in trouble with drug in his locker at school, he was assigned to live with Kiara’s family. The romance between Carlos and Kiara was lacking compared to Alex and Brittany but nonetheless, I love the book. My favorite character in Rules of Attraction is Tuck. He is funny and he embraced his sexuality. Both books have happily ever after ending and their epilogue was as cheesy as possible but I am just way invested in the story. This series is definitely going into my favorite list. I am looking forward to reading Chain Reaction which will be published on August 16th, 2011.